Be informed – and stay informed – about race day. It’s this simple. 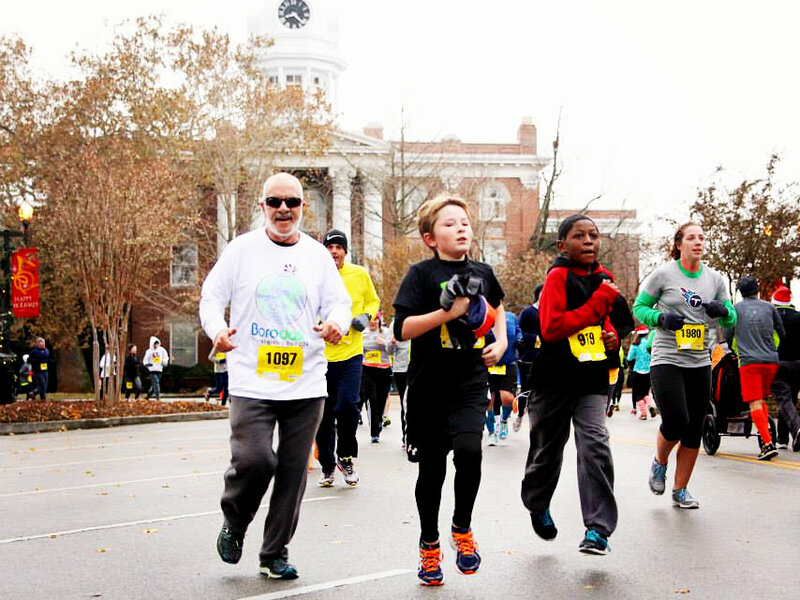 Those who register by November 20 can pick up their race packets (chip/bib/t-shirt) at the North Boulevard Church of Christ Life Center on November 21 from 10 a.m. – 6:30 p.m.
New registrations will also be accepted at this time. Extra t-shirts will be ordered and sizes will be available on a first-come, first-served basis. The start and finish will be located outside of MTSU’s Dean Hayes Track & Soccer Stadium this year. CLICK HERE for an interactive map and specific directions. We expect large crowds so learn where to park and start the race. Sign up for our free email newsletter to stay up to date. This is the easiest way to keep informed about anything regarding Borodash. Aside from The Dash List the easiest way to stay informed is by following us on Facebook and Twitter.